Fancy is our most colorful blue roan. Her horns have really taken off this Summer. 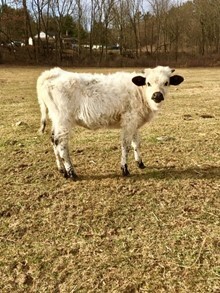 She is so gentle and captures your attention with ease in the pasture.